Empfänger auswählen ...Bradman-Lake LtdChris Barfe Bitte wählen Sie einen Empfänger aus. 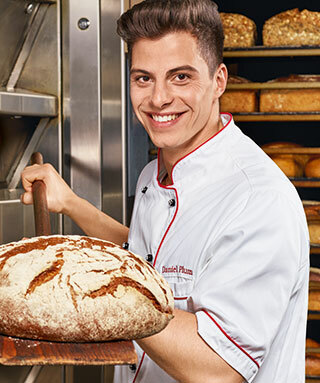 From small hand bagging machines for the craft baker through to a range of equipment designed for the world’s largest plant bakeries, Bradman Lake can tailor a unique solutions from cooler through to Bread basket from one supplier. Systems typically include product distribution, collation systems, slicing options, high speed bagging and basket loading, making Bradman Lake the obvious one stop shop.